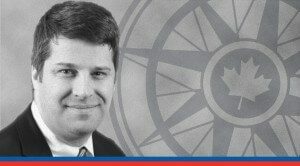 OTTAWA, Feb. 24, 2016 – That Canada’s newly-elected government has a mandate to plunge our national finances into deficit is beyond dispute, they were quite clear about their intentions to run modest deficits for a few years in last year’s election campaign. But their election pledge is already beginning to fray. Due to economic circumstances and funding election promises, the government’s deficit, projected at $10 billion during the campaign, has ballooned this week to somewhere close to $30 billion. How can the government prevent its short-term deficit plan from getting stuck in fiscal quicksand? That’s where the Macdonald-Laurier Institute comes in. 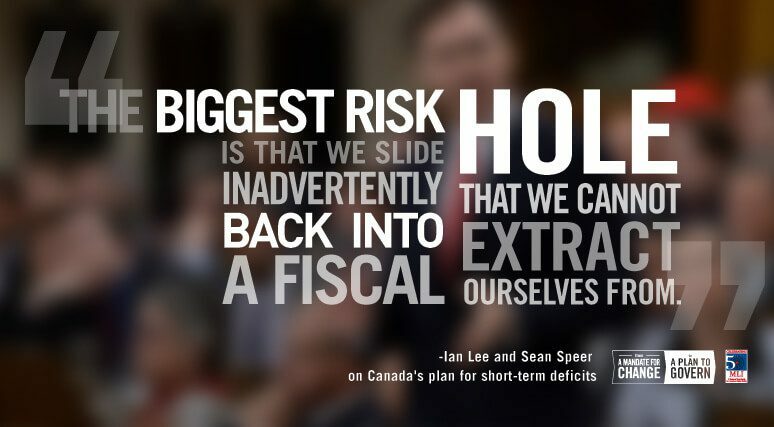 In a new commentary, Ian Lee and MLI Senior Fellow Sean Speer lay out a roadmap for making sure Canada doesn’t get stuck on the deficit treadmill for the next several decades. “The biggest risk is that we slide inadvertently back into a fiscal hole that we cannot extract ourselves from”, write Lee and Speer. To read the full commentary, titled "Avoiding the federal deficit quicksand", click here. Need an example of how a short-term deficit plan can quickly slide off the rails? Look no further than Canada’s own history. The federal government began running deficits in 1970-71. Fast forward 27 years and the government was still running deficits. Not only that, it was borrowing to pay for past borrowing: In 1993, a deficit of $39 billion went along with debt-servicing costs of $38 billion. Refrain from deliberate fiscal stimulus except in extraordinary circumstances: The federal government should set out clear principles for whether to engage in stimulus spending. The economy is not growing as fast as we would like, but we are certainly not living through a repeat of the sustained economic downturn that began in 2008. The government risks raising expectations that deficits will be run anytime the Canadian economy is not running at full tilt. Keep the previous government’s balanced-budget legislation: Laws that constrain how much government can spend have their limitations. But there is compelling evidence that clear, concrete rules can contribute to less wasteful government spending and avoid long-term deficits. Therefore the government should not repeal the balanced budget legislation and instead use it as a tool to help dig the federal budget out of its fiscal hole. Outline a plan for returning to balanced budgets: Spending the money to stimulate the economy is easy. Cutting back on that spending, once unions and other interest groups have gotten a taste for it, is difficult. The government should outline a concrete plan for getting back into the black. Canada Post, Via Rail and civil servant sick leave benefits are all ripe for reform. This is the 10th paper in MLI’s series, From A Mandate For Change To A Plan To Govern.